Understanding proper capitalization rules is crucial if you are updating your resume and want to make an impression on your future employer. You want to make sure that all of your job titles and job titles are properly capitalized since recruiters often spend less than 30 seconds scanning through a resume. So, is bachelor’s degree capitalized? If you were writing an article, would you quote it as ‘bachelors degree’ or ‘Bachelor’s degree?’ I bet most people won’t get this right. 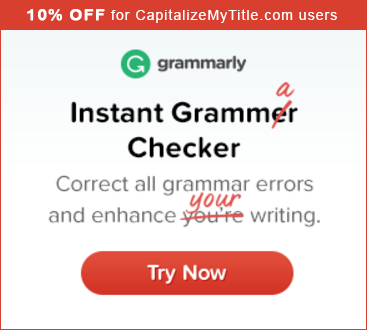 The simple answer is no, you do not capitalize either of these two words if you are using them generically in a sentence, unless, of course, they are used at the beginning of a sentence when basic capitalization rules apply. However, if you are referring to the specific degree that you earned or are earning, then you should capitalize it. Title capitalization rules require that you capitalize each word when quoting the specific name of the bachelor’s degree such as Bachelor of Science. Correct: I enrolled in a bachelor’s degree in arts and science. Correct: I’m studying for a Bachelor of Science. Incorrect: I enrolled in a Bachelor’s Degree program in arts and science. Incorrect: I’m studying for a bachelor of arts and science. The same rules also apply for a master’s program and doctorate degree programs. Remember the basic rules of capitalization that you learned in middle school? Well, they will apply here. The rules of grammar require that we do not capitalize common nouns such as school, house, hospital etc. as they are general names. The term bachelor’s degree is also a common noun. There is no particular degree by the name of ‘bachelor’s degree.’ It is simply a generalization. However, when giving the degree a name, then it earns an identity. These are referred to as proper nouns and should, thus, be capitalized. The rules of capitalization cannot be summarized in a single article. Deeper research is therefore recommended to fully grasp the guidelines pertaining to proper capitalization. For example, although we now know that ‘bachelor’s degree’ is not capitalized and that the degree name is, did you know that the major specialty in the degree program is not capitalized? I leave you to ponder upon this. In the meantime, give our free tool a try. Previous articleAre Days of the Week Capitalized? Next articleIs Master’s Degree Capitalized?